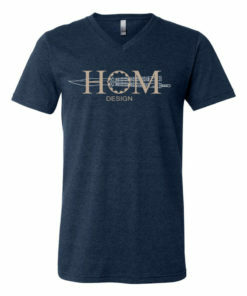 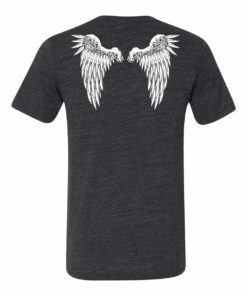 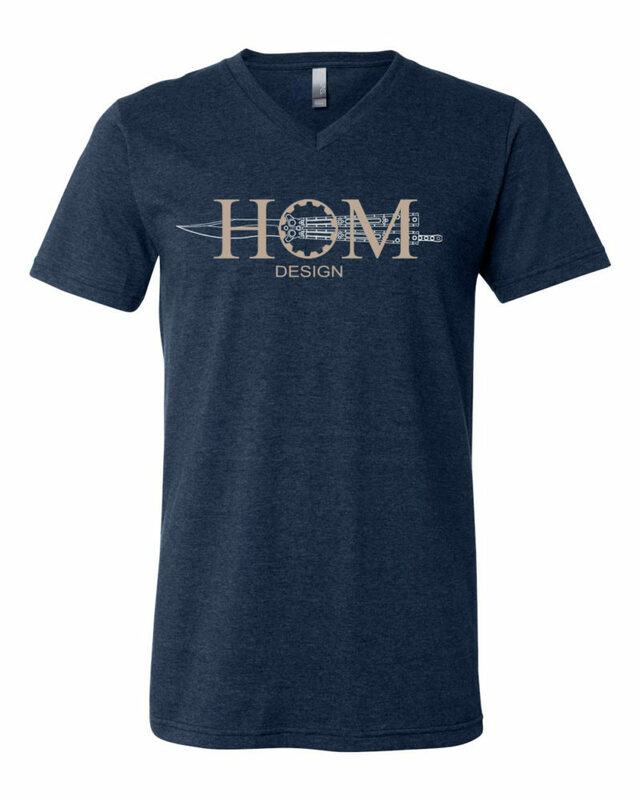 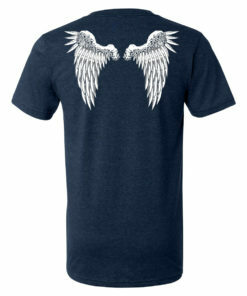 Hom Design T-shirts are here! 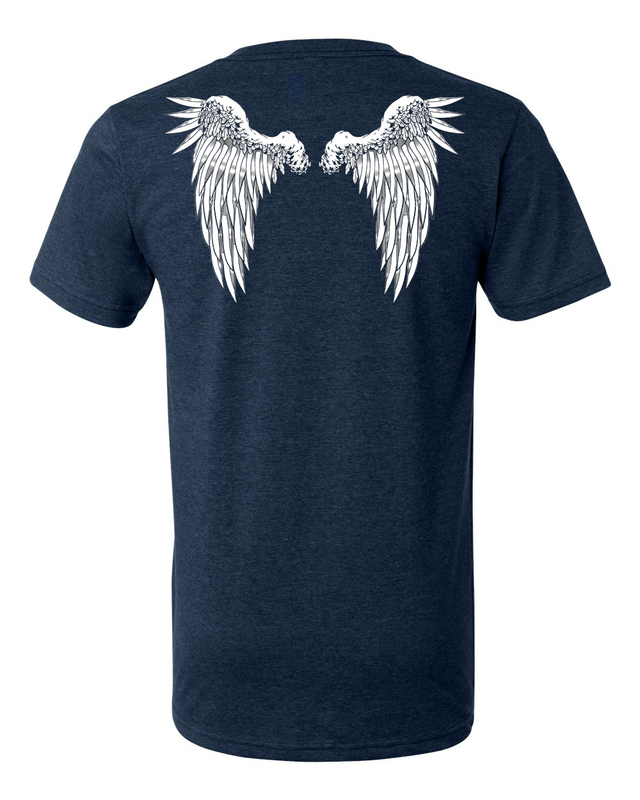 Available in Blue Heather and Charcoal Black Heather, these are super soft Polyblend T-shirts that have some stretch unlike a full cotton tee. The front features the Hom Design logo with a Basilisk-R, and the back has the Blade Wings comprised of Hom Design blades- the OG Basilisk, Tempest, Specter, and Basilisk-R.
First Class shipping included in price.